Another month has gone by, and we've had another month of incredible Inspirational Photos of the Day from the members of this great community. From portraits to landscapes and everything in between, the most inspirational photographers of the month have put out images that delight and intrigue - and inspire! If you need a bit of a jumpstart for your creativity, look no further than this collection of photos, and the photographers that took them. Donnnnny is at it again, giving us this incredible shot that’s beautiful in its simplicity. If you’re ever on the fence about whether an image has enough detail in it, err on the side of caution and simplify the shot. 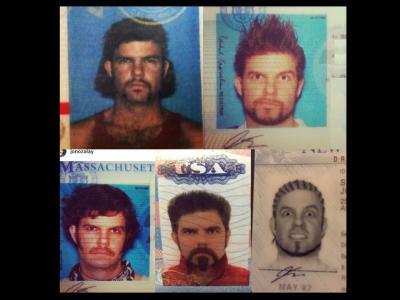 As you can see, doing so can pay dividends! 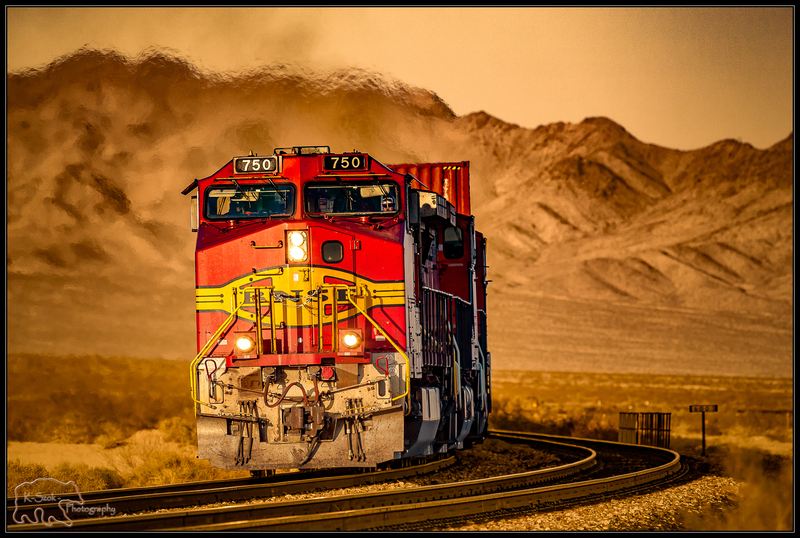 This shot of a passing train by Ken wins the title of Inspirational Photo of the Day because of its execution. Note how the train engine is perfectly sharp, and how the heat emanating from its stack adds an interesting visual element above it. The layered composition with the train and the various hills and mountains beyond is quite catching as well! Gary A. Randall offers up this stunner of a landscape that features just about everything you could hope for in a dramatic shot. 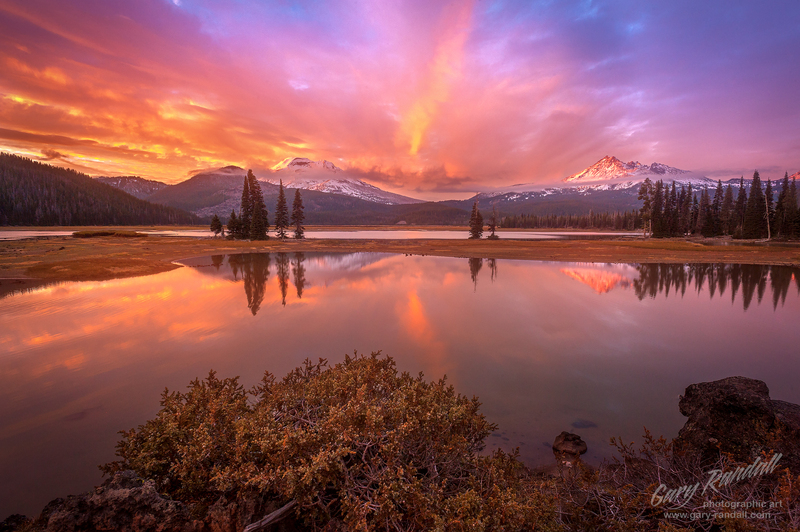 Between the beautiful reflection, the illuminated mountain peaks, and that incredible sunset, what’s not to like?! To make your landscape images more inviting to the viewer's eye, try incorporating foreground interest as Gary has done. 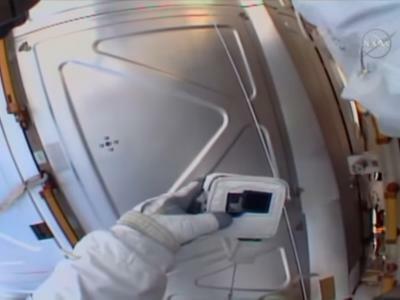 It acts like an "introduction" to the shot and helps invite viewers to inspect the image more fully. One thing you can do to create a more dramatic portrait is incorporate wardrobe choices that lend to drama. 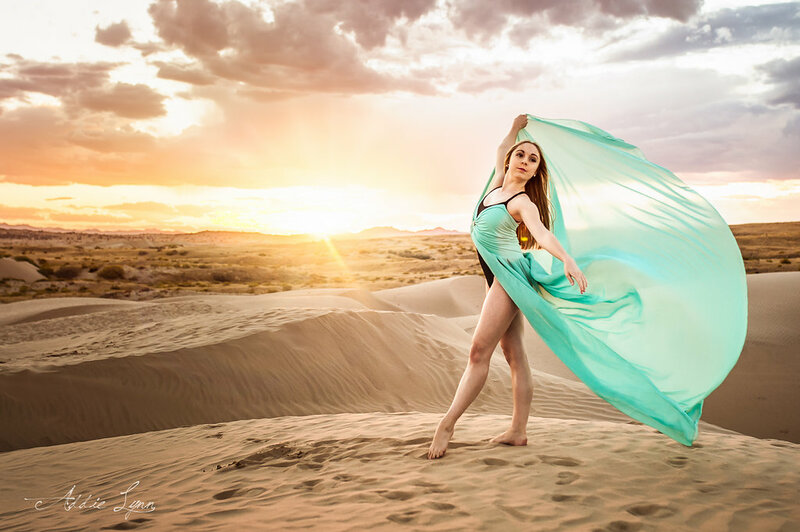 In this shot by Addie Lynn, the young lady’s dress elevates the image to a whole other level, both due to its gorgeous color and the way it floats in the wind. The contrast of the light blue of the dress with the beiges of the surrounding environment is gorgeous as well! 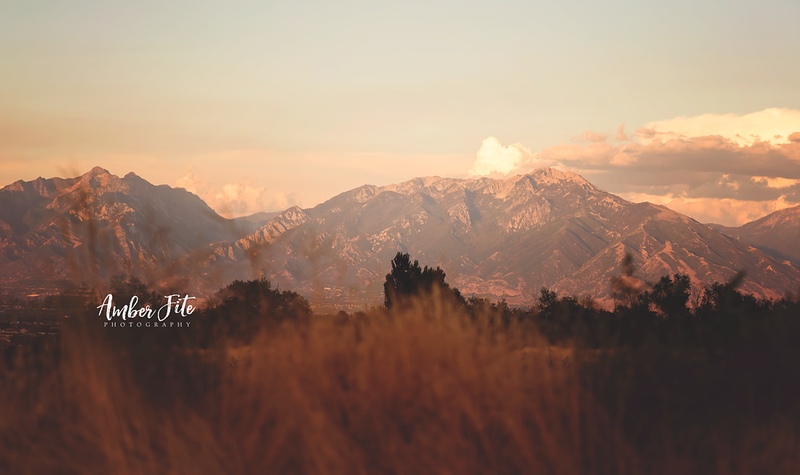 The great thing about landscapes like this one by Amber Fite is that they can often be found just outside your back window, assuming you live near the mountains, of course! Even though this shot was taken not too far from the city, the low-slung point of view helps mask that hustle and bustle and helps us concentrate on those beautiful colors and the mountains. This image is also a great example of how landscapes don't always need a large depth of field to have an impact. In this case, the blurriness of the foreground helps to frame the mountains. 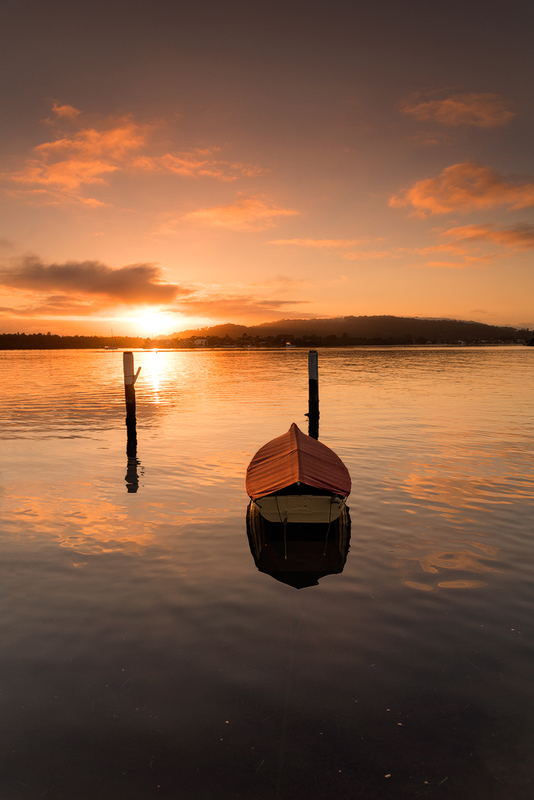 Titled “The Perfect Morning,” this image by Shrideep certainly looks perfect! 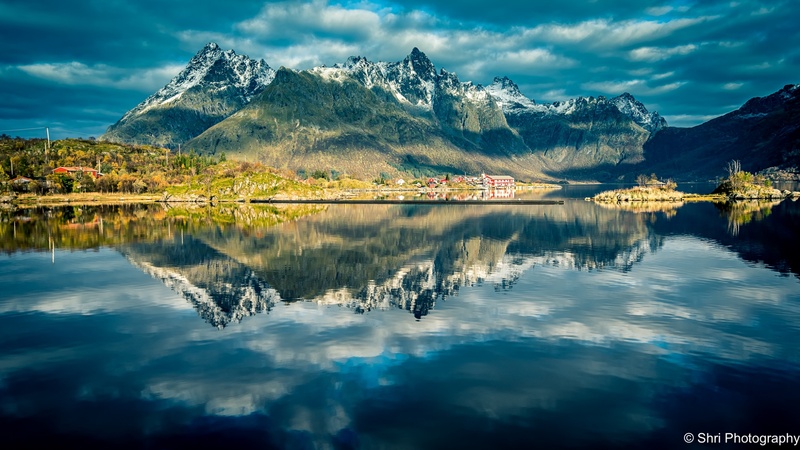 Though the placing the horizon line in the middle of the frame is usually a no-no, in this case, it enhances the symmetry of the shot with the reflection of the village and the surrounding mountains. That lighting is pretty incredible, too, and helps give depth and dimension to the shot. Golden hour is a perfect time for photographing a landscape, and J_Tom certainly proves that point. The soft light in the background is the perfect partner for the more intense, saturated colors of the greenery. The framing is spot on, too, with a view of the foreground to help draw our eyes into the shot. Wintertime photos are tough to do well because the white balance can easily be off due to all the snow. 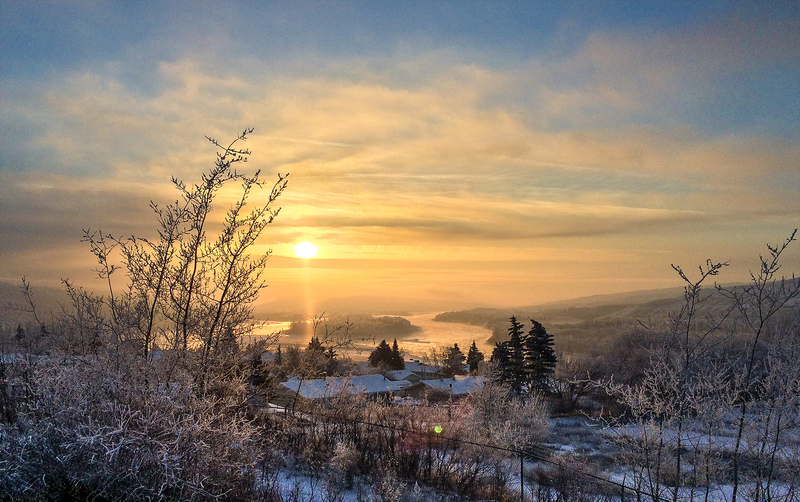 However, PT user Chuckolat avoids that issue in this shot with the inclusion of the warm, golden tones of the sunset. The foreground elements help frame the sun, river, town, and other primary elements as well. PT user DSLR1026 gives us a stellar view of the stars above this ancient bristlecone pine. The star trails wrapping around the North Star add whimsy to the shot while the twisted and jagged structure of the tree adds an interesting textural element. When taking photos of the night sky, adding foreground interest like the tree in this shot helps give context to the scene. Rather than taking a photo only of the night sky, try including a bit of the foreground for a more impactful image. 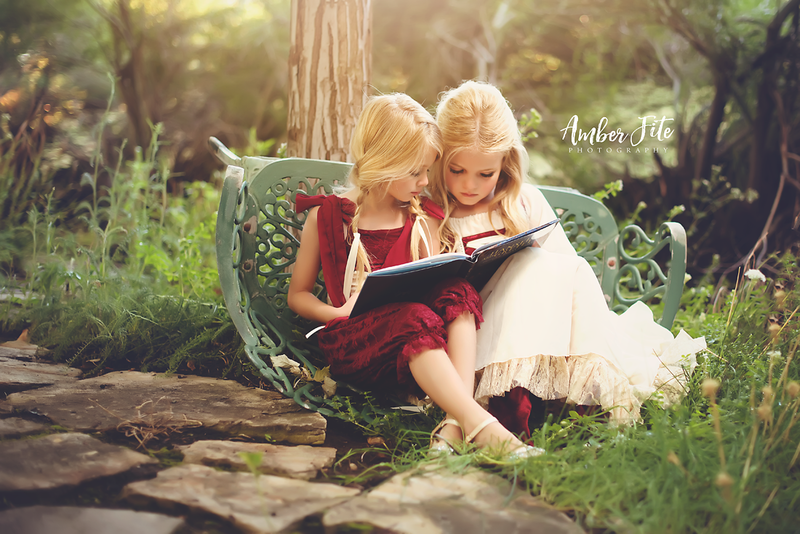 In this beautiful example of child portraiture, Amber Fite created a relaxed, natural look by having these girls engage in an activity - reading a book. The elegance of their gowns combined with the informal setting is a nice touch, too. Notice all the textural elements that give this portrait incredible depth as well - the rocky path, the grasses in the foreground, the overturned bench, and the plants in the background. The result is a highly layered image that keeps the eye engaged. 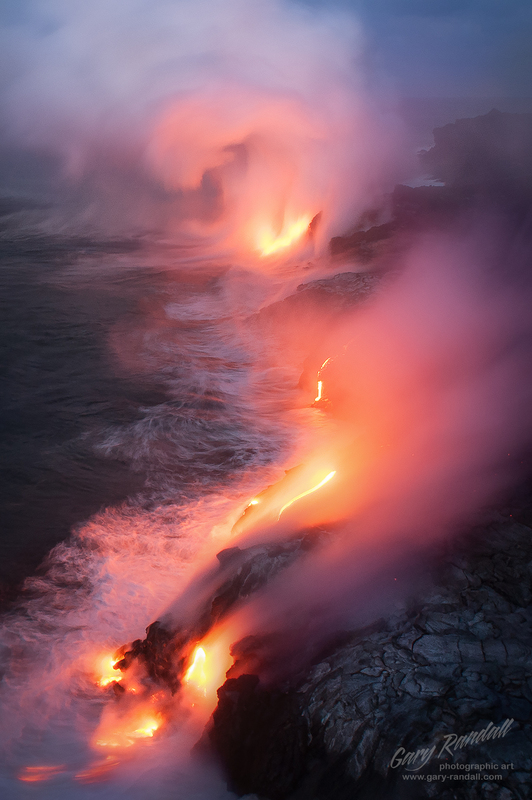 Gary A. Randall knocks it out of the park with this incredible shot of the Kalapana Lava Flow in Hawaii. The vibrant color of the lava is certainly eye-catching, but the swirling steam in the background is equally as beautiful. The balance of this shot is something to behold! Speaking of balance, notice how the darkness of the landscape contrasts so nicely with the brightness of the lava. When creating a landscape image, strive to include this kind of contrast to create a more interesting image. Chris Kincade offers us a great action shot that’s packed full of color too. 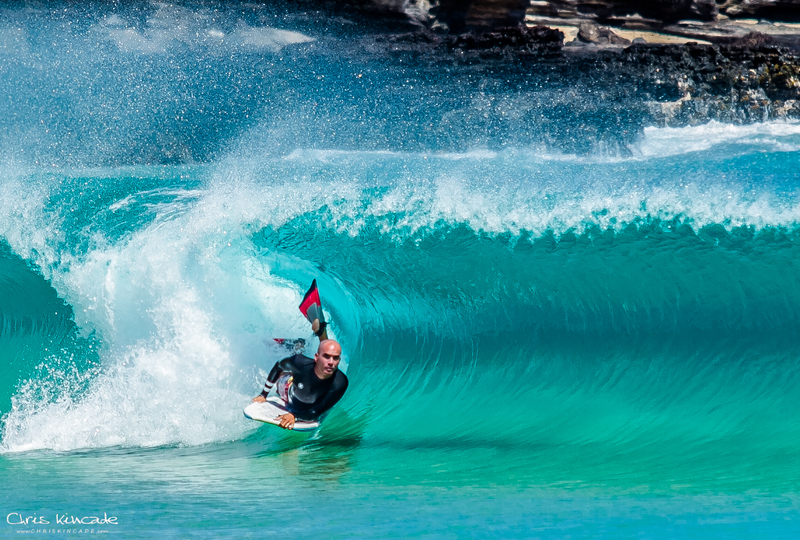 The fast shutter speed freezes the action while the perfect focus keeps the surfer clear and sharp. Notice the detail of the water droplets in the top half of the image as well. Good stuff! Textures and patterns are a valuable feature in landscape photography as they can add interest and depth to the shot. The fields cut into the mountain add an interesting visual element that contrasts nicely with the smooth, dark blue sky. Aptly titled Sunset With Deer, this shot of a sunset in Nara Prefecture is made even better by the presence of the small herd of deer in the foreground. The 16mm view allowed Hasan to capture all the action and give this shot a feeling of being grand in scale as well. When striving to create a photo that has tons of visual impact, focus on including foreground interest and great lighting. The softness of the light at sunset is a perfect complement to a landscape scene such as this. 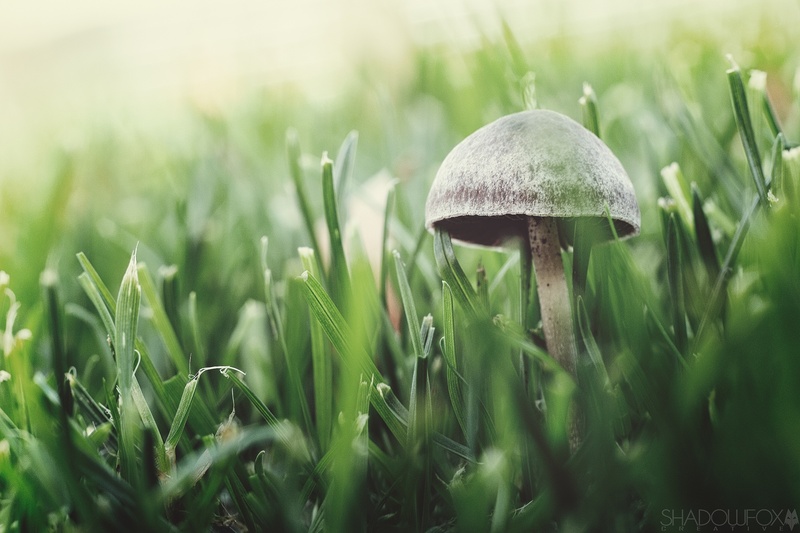 This close-up of a mushroom by Mark Fox is beautiful in its simplicity and composition. Notice how the shot adheres to the rule of thirds, shifting the mushroom to the right of center. The low point of view is fantastic as well, transporting us right down into the miniature world at our feet. Not bad, Mark! 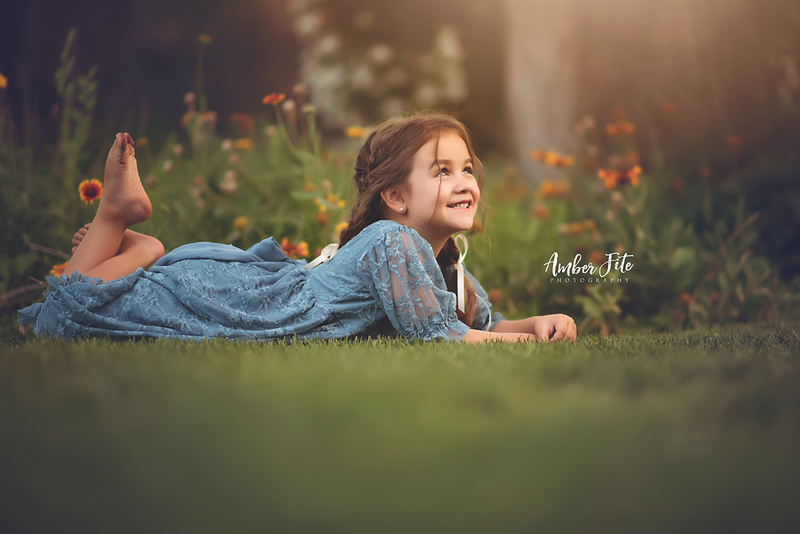 This beautiful portrait of a little girl demonstrates how you can keep things simple and still end up with an eye-catching and memorable shot. 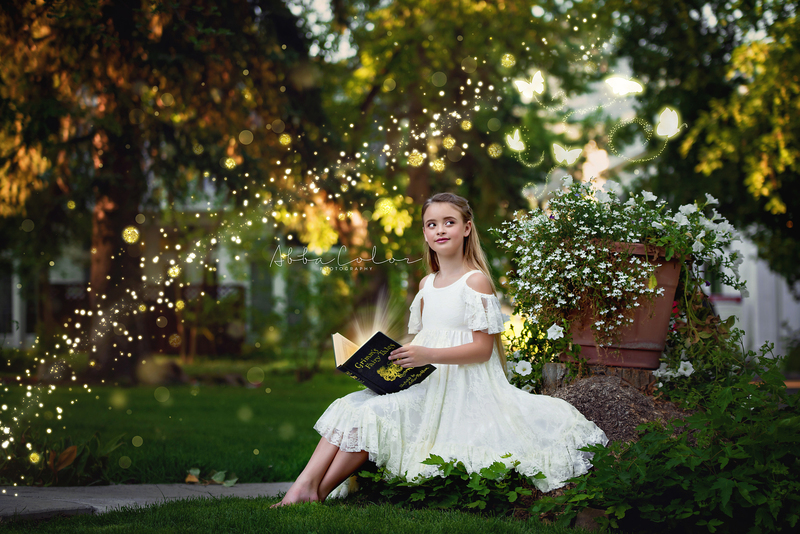 Amber Fite kept the composition simple, with a shallow depth of field that keeps our attention on the girl. Notice how that shallow depth of field is working in two ways - in the foreground and the background. The result is one heck of portrait, don't you think?! In this gorgeous misty scene, Chuckolat demonstrates how when there’s water present, you can break the rules and place the horizon right in the middle of the shot. Doing so maximizes the symmetry of this image and doubles up on those gorgeous morning colors, too. 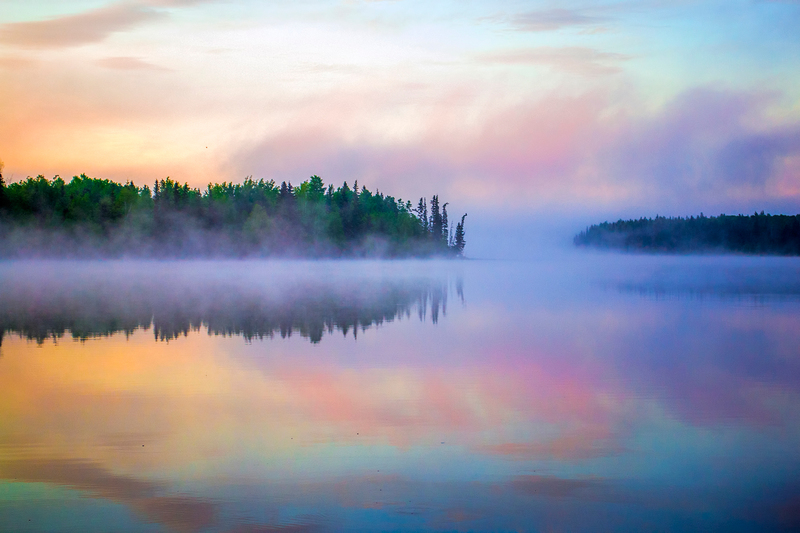 Fog can be tricky, though, because it can mess with the white balance and the exposure. Be sure to keep an eye on those factors so you don't end up with a shot that's got a color cast you don't want or that's too dark or bright. 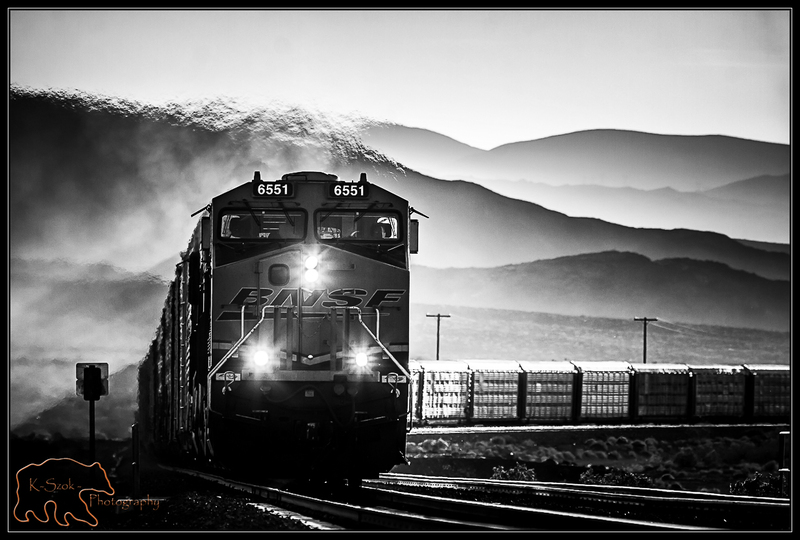 Ken is a master at capturing passing trains, as this image shows. With the light coming into the shot from our left, we not only get a bright, full view of the colorful locomotive, but we also get interesting areas of light and shadow, particularly in the background. That’s the value of sidelighting in a photo! To get a more dramatic result, try using sidelighting in your next shot. Abba Color Photography offers up a dynamite portrait that shows the value of adding movement to the shot. Just the indicated motion of the book's pages and the stars arching across the image are enough to give this shot tons of fluidity. The white dress against the dark green backdrop is a nice touch, too! 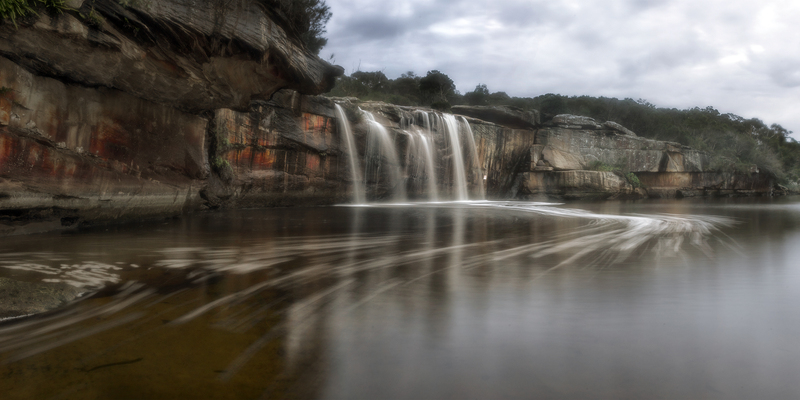 Donnnnnny does it again with another breathtaking landscape, this time of a gorgeous waterfall near Sydney, Australia. 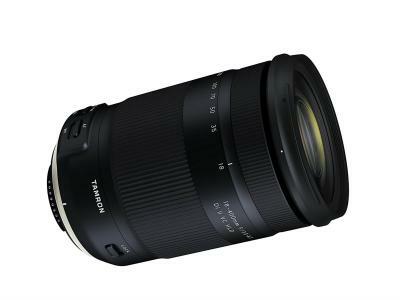 The 20-second shutter speed captures the blurry goodness of the water while the 32mm focal length provides the perfect angle of view to create one heck of a shot. Notice all the lines in this image that give it more interest as well - the horizontal lines of the cliffs, the vertical lines of the waterfall, and the curving lines of the water as it flows toward the camera. 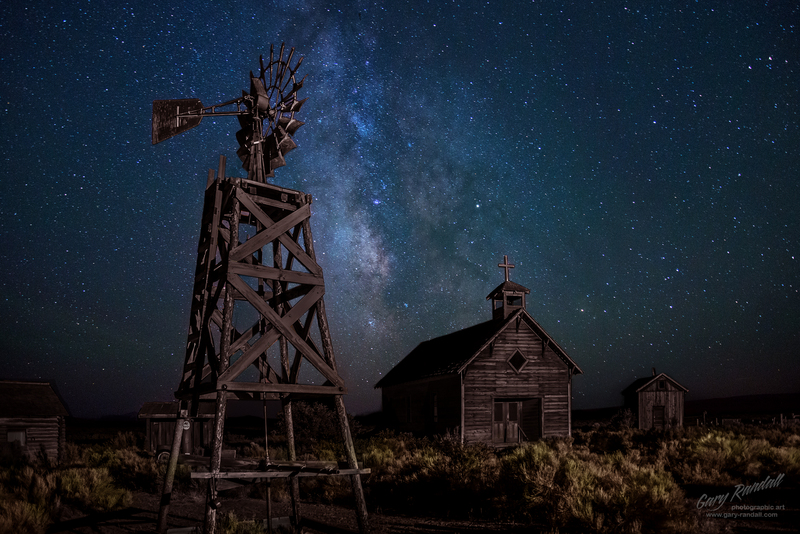 Fort Rock, Oregon has never looked so good than in this outstanding nighttime image by Gary A. Randall. The combination of the star-filled sky set behind the old church and windmill is certainly a winner. The subtle foreground lighting is a great touch as well! 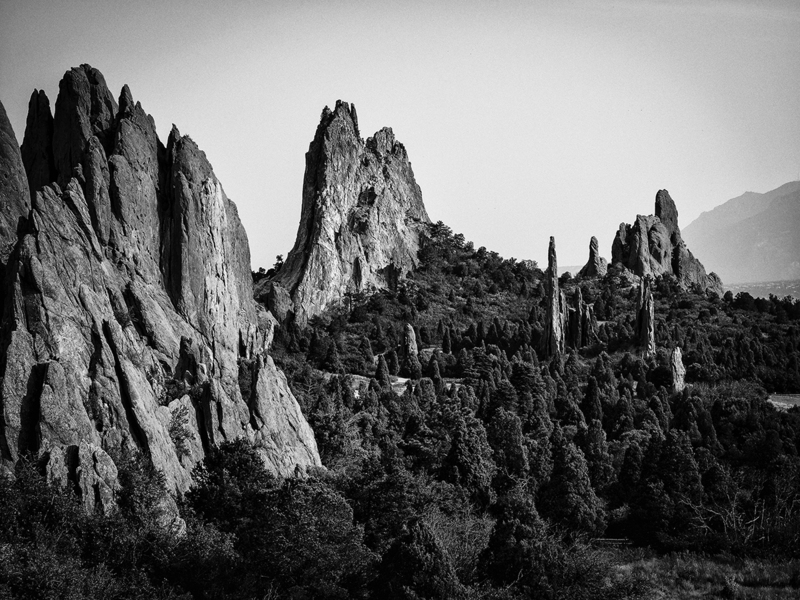 Randy A. Meyers did a superb job of capturing Colorado’s Garden of the Gods in this epic black and white photo. Like any good black and white shot, this image has strong shapes, lots of texture, and beautiful contrast that keeps our eyes engaged with the photo. The relatively tight framing of the shot is interesting as well, as it keeps our attention on the jagged rock formations and helps eliminate the possibility of the image being overwhelmed with detail. 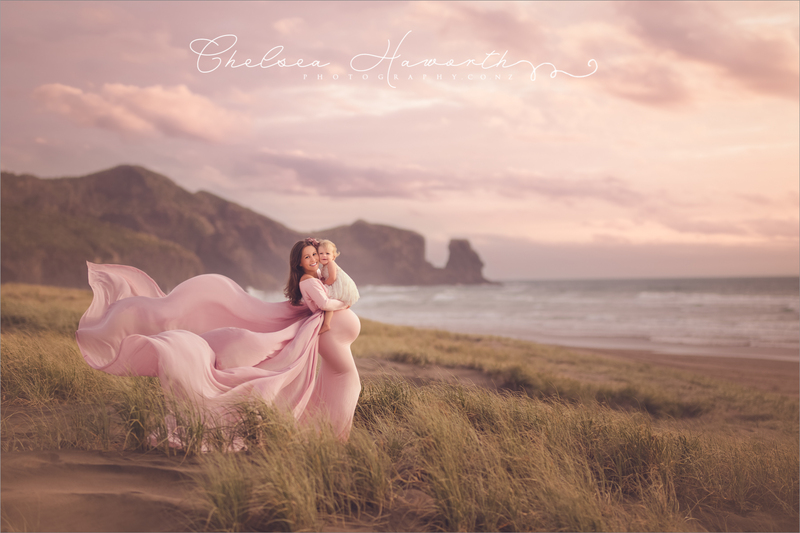 Maternity photography can be hard to pull off, simply because expecting moms don’t always feel all that beautiful. But as Chelsea Haworth demonstrates, great lighting, a gorgeous setting, and a beautiful gown can go a long way in helping mom look and feel her best! When selecting a wardrobe for a portrait, try to find colors that complement the scene - in this case, using a light pink for the dress picks up the light pink tones of the sunset. Sometimes, less is more in photography, and Xenia.I has certainly mastered that concept with this incredible shot. 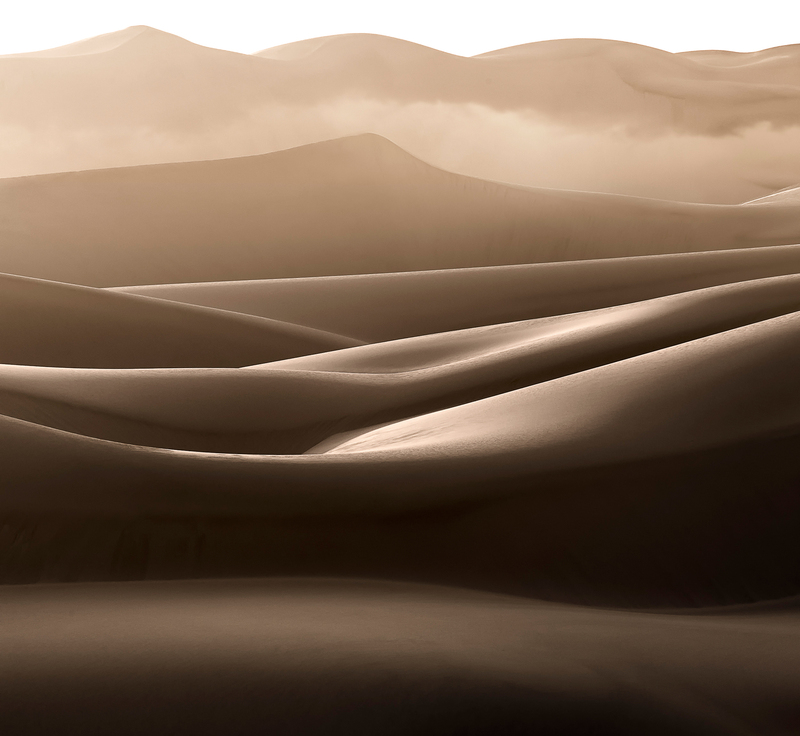 The layers upon layers of dunes are certainly eye-catching, but so too are the areas of light and shadow. Both elements give this image tremendous depth. Wow! 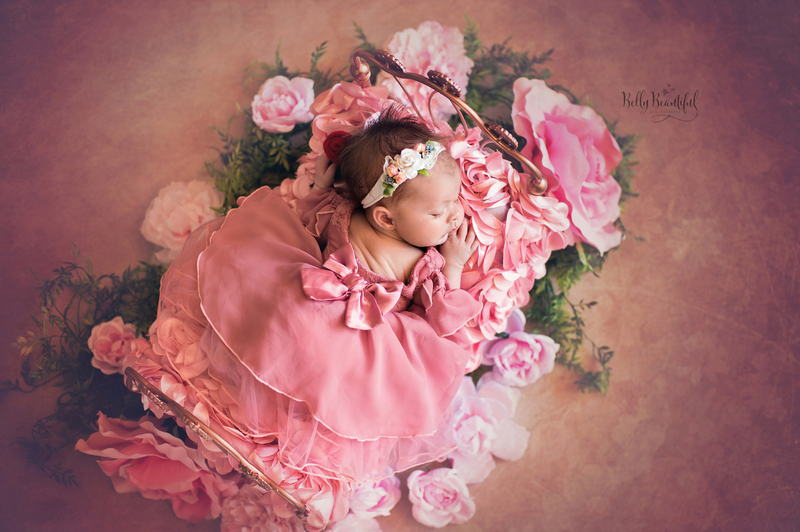 This precious photo captured by Belly Beautiful Photography by Karen Marie demonstrates perfectly how to compose a newborn photo. The framing is tight enough so that we can see the details of the baby’s face, but not so close that it feels claustrophobic. The addition of the colors and textures of the bed and flowers are nice touches too! Hasan serves up a gorgeous sunset in this lovely shot of Lake Biwa in Japan. There’s a lot to love here, including the beautiful colors, the smooth, glasslike water, and the structure that adds some lines to the shot. Note how the horizon line is perfectly straight, too. It's a small detail, but one that has a ton of impact on the overall visual appeal of the image. 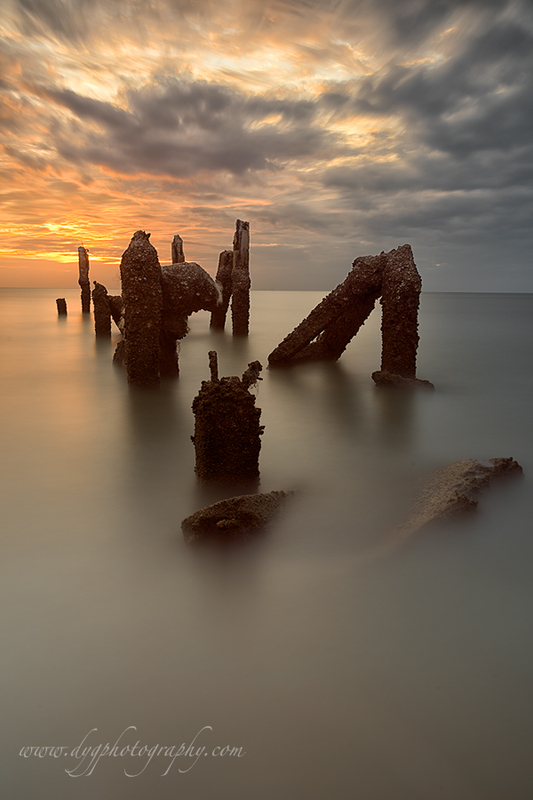 Titled “The Old Pier,” this shot shows the value of having a static object in a long exposure. The sharpness of the old pier contrasts beautifully with the blurry water to create a nice visual tension that makes this one heck of a photograph. That visual tension is needed in this shot because there are relatively few points of visual interest to captivate the eye. That kind of simplicity is hard to do well, but Donnnnnny sure nailed it! Architecture photography can be hard to do well, but PT user ThrasivoulosP makes it look easy with this stunning shot. 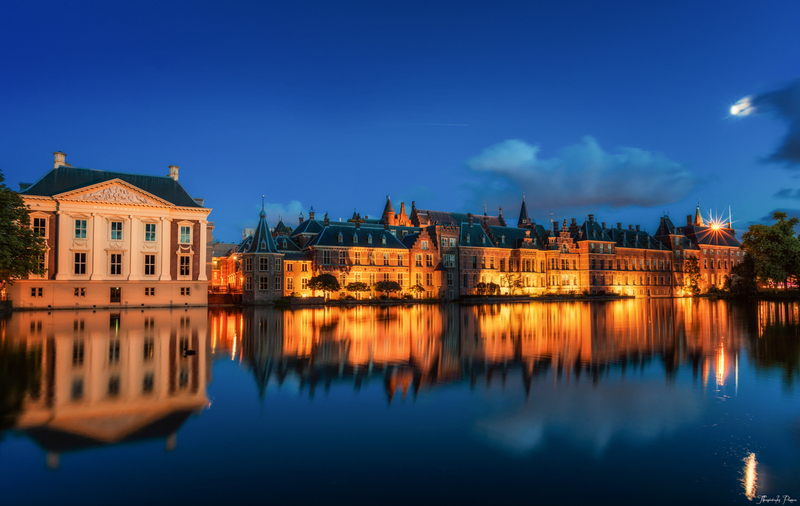 The combination of the detailing on the buildings, the long exposure, and the blue hour lighting come together beautifully to create one heck of an image! The symmetry created by the way the shot was composed is quite fetching as well. With a horizon line that's virtually in the middle of the shot, we get a nice, precise reflection in the water that mirrors the cityscape perfectly. 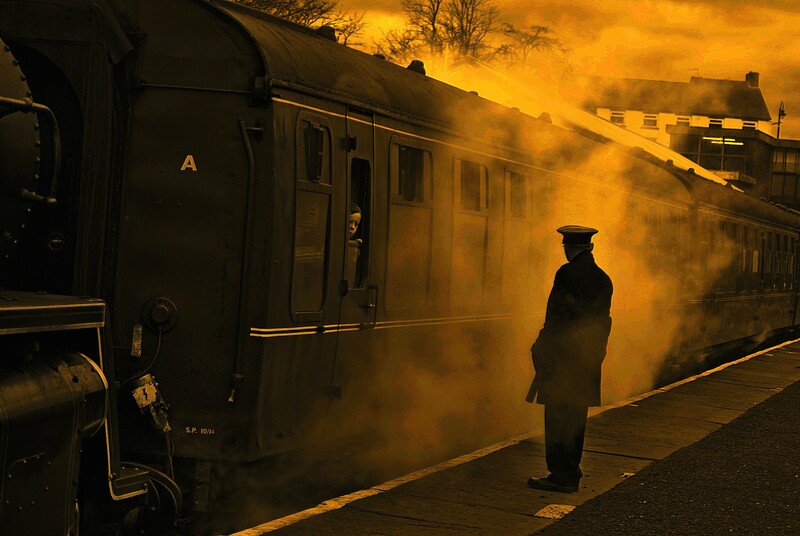 Gordon Simpson managed to create a gritty, eye-catching image by isolating the shadowy figure of a man in a shroud of steam from the train. The golden tones of the image give it a certain brightness, yet the image feels almost ominous at the same time. Those conflicting vibes give this image tons of appeal! 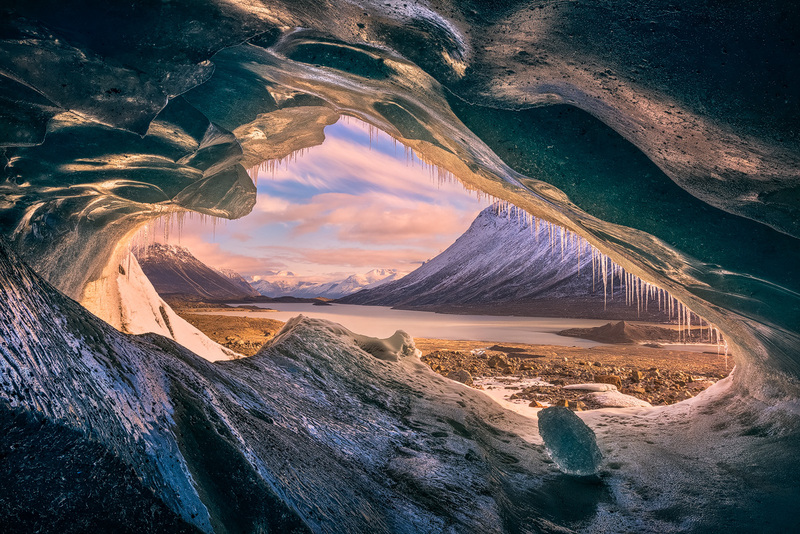 One of the most important factors when composing a photo is how the shot is framed.This image by Artur Stanisz demonstrates how using the ice cave to frame the background of the shot gives the image tons of depth and visual interest. This image by Artur Stanisz demonstrates how using the ice cave to frame the background of the shot gives the image tons of depth and visual interest. The triangular shape of the ice cave opening also mimics the triangular shape of the mountains in the background, giving this shot a repeating pattern that helps amplify its appeal that much more. With that, you have 30 incredible photos from which to get inspiration for your own work! 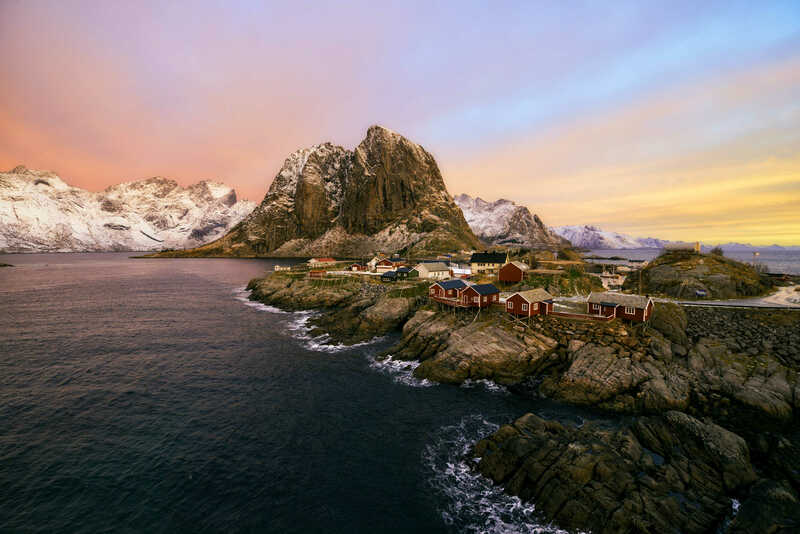 Study these images to see what grabs your attention and catches your eye, and see if you can replicate the success these photographers had in your own work. 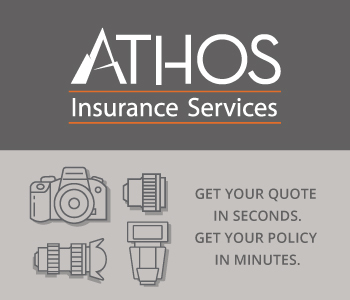 Be sure to share your images in our galleries so you can have a chance to be featured!